Kirigami is a traditional art of cutting paper. 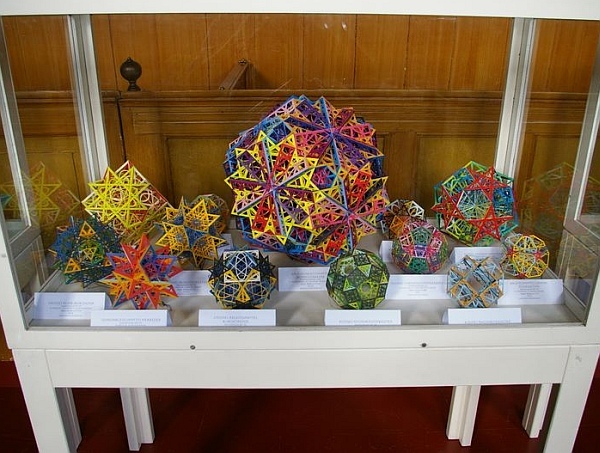 Ulrich Mikloweit takes it a step further by assembling many pieces of kirigami into intricate mathematical models. This is a snub dodecadodecahedron made from 924 cut and colored facets. 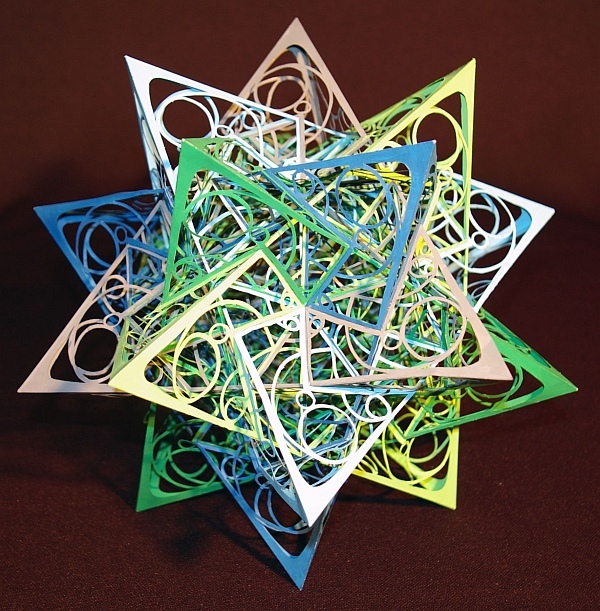 Ulrich has dedicated years to making hundreds of such hand-cut models, which can be seen on his website. The simplest possible polyhedron is the tetrahedron. 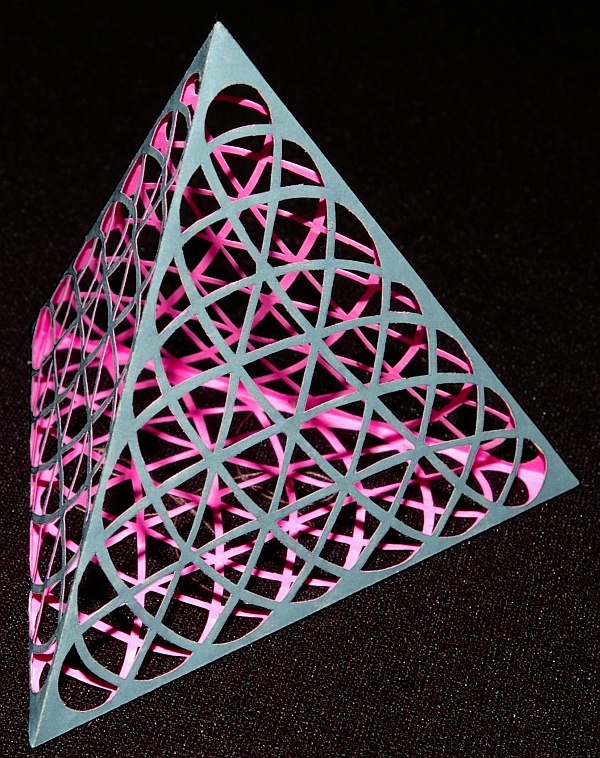 It consists of just four triangles, but it is still visually interesting when made by Ulrich with his hand-cutting techniques. 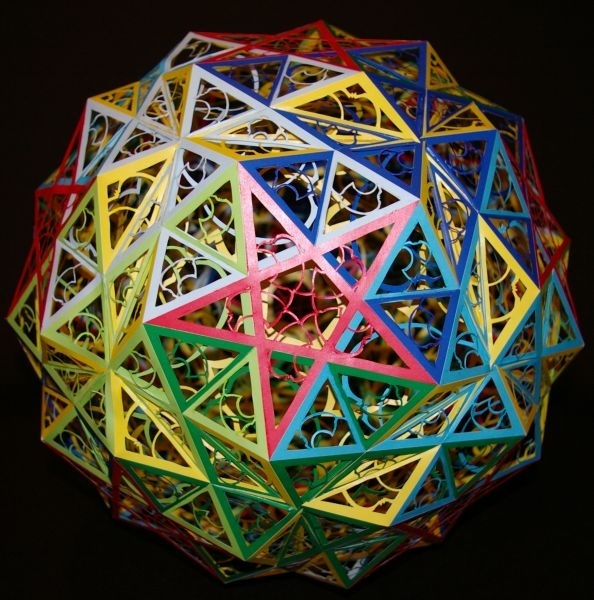 This compound of five tetrahedra (one in each of five colors) shows how the faces continue in the interior of the form and how the cutouts allow you to see the many levels of internal structure. This article first appeared on Make: Online, June 28, 2010.